Happy August! This month we're crossposting our Developer Newsletter to our blog. In this post we'll be covering our latest changes, favorite UI Extension, and articles from the past month. Frontend Engineer at SumUp, Connor Bär, created a UI extension to provide a visual editor to preview and select card schemes using the Symbols field type. Even when you're not dealing with payment, this UI Extension can be easily adjusted to fit your needs. Did you make a UI Extension you want to be shared with the Contentful Developer Community? Reply to this email to let us know. Every newsletter we'll be featuring our favorite extension that we've used in the past month! 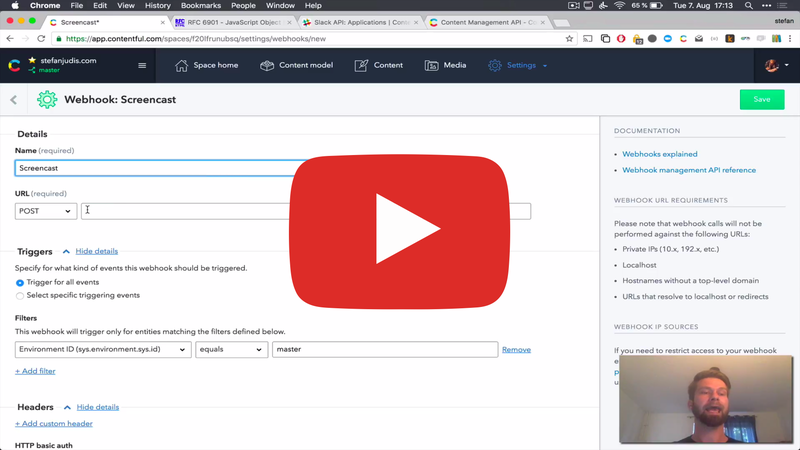 Artas Bartas, product manager at Contentful, introduces the latest improvements to space environments, now featuring the two features many of you have requested - developer access and webhook filters. Find out how other developers leverage CI/CD for better productivity or build your very first automated pipeline. Contentful CTO, Paolo Negri, takes a moment to reflect on the new wave of static site generators and how they've evolved to become the new tool for content publishing. Using a static site generator, you can implement an "upside-down stack," where the database or other services come first. Antonio Terreno, CTO of the Labrador, runs through his experience using Contentful, Gatsby, and Lambda to build a serverless alternative Wordpress. He also takes a moment to run through the cost savings of his new tech stack versus utilizing Wordpress hosting. This past week I posted a new tutorial on how to combine space environments, and the Contentful migration tooling to integrate changes to your content model into your CI Pipeline. While we've posted a concept guide before, this tutorial shows how to implement these concepts with CircleCI. Want to learn more? I'll be hosting a webinar, August 21st at 11 am EST, running through this tutorial that you can join. Check out the code on GitHub or the tutorial and let me know what you think! Aug. 24th-26th, Likeminds 3.0 Our very own Mario Bodemann will present AR w/ Contentful. More details here at likeminds.camp. If you want to join our crew, the code "Contentful" gets 15% off tickets! Want to see it in action? Stefan Judis created a video to walk you through this new feature! For a full specification of the transformations, please refer to the Content Management API docs or the webhook concepts article.